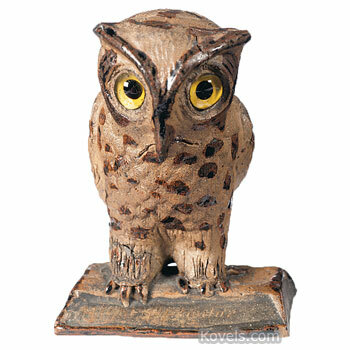 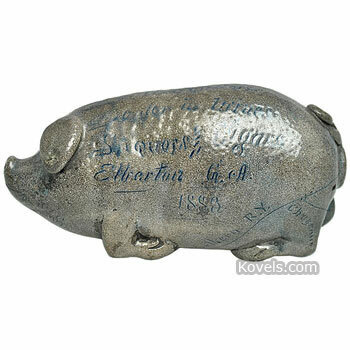 Anna Pottery was started in Anna, Illinois, in 1859 by Cornwall and Wallace Kirkpatrick. 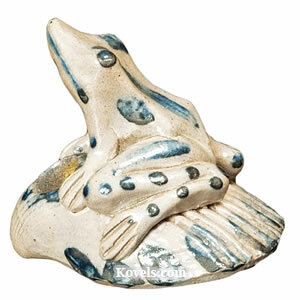 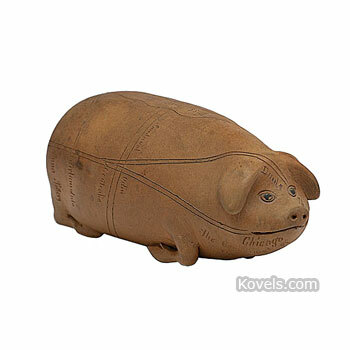 They made many types of utilitarian wares, bricks, drain tiles, and giftware. 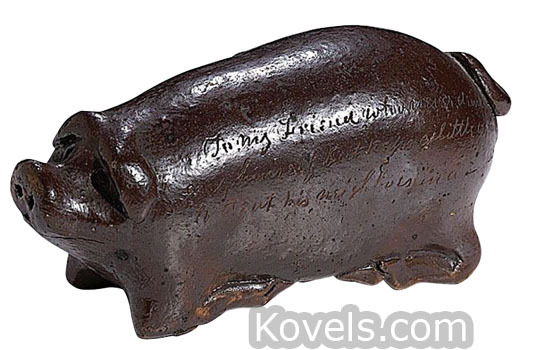 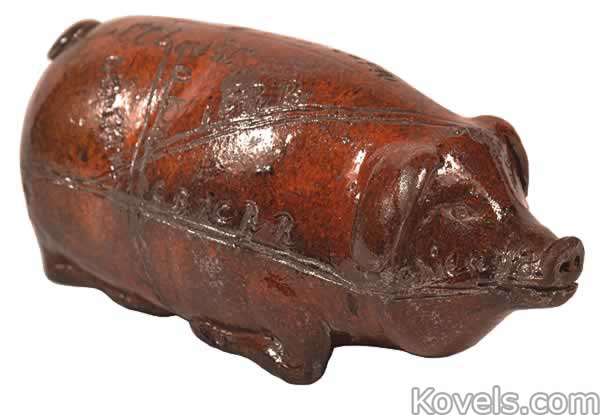 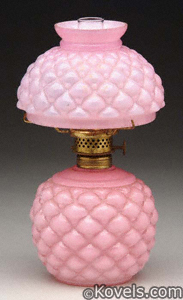 The most famous pieces made by the pottery are the pig-shaped bottles and jugs with inscriptions. 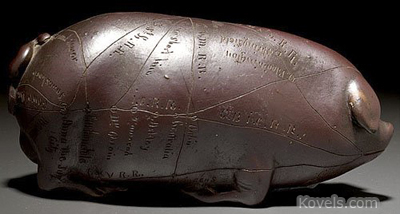 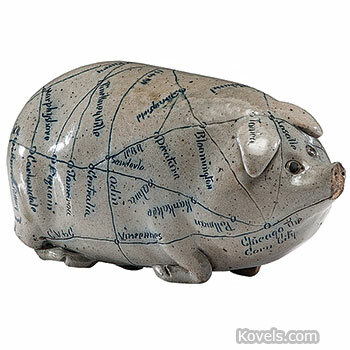 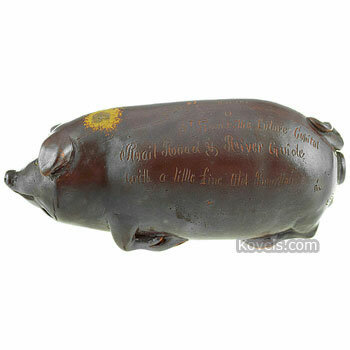 Anna Pottery pigs often had maps of railroads inscribed on the body. 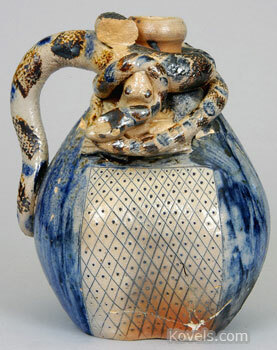 Jugs were made with snakes and references to social issues like the Temperance Movement. 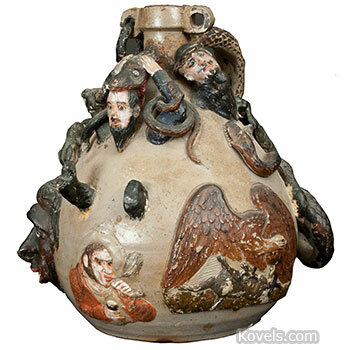 The pottery closed in 1894.